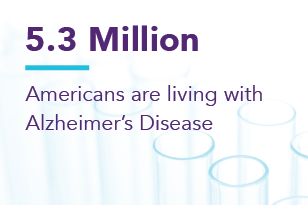 Alzamend Neuro™ is Dedicated to Finding the Treatment and Cure for Alzheimer's Disease. Alzamend is raising up to $50 million in this Mini-IPO. Help fight Alzheimer's, Buy your shares now! For more information or assistance with this Offering, please use our Live Chat or call (888) 745-2574. In the past, only wealthy investors, venture capitalists, and private equity firms have had the opportunity to invest via special securities in private to public transactions. That has changed as of June 2015. In light of this change, we are now allowed to invite existing investors, friends, associates and the general public to participate in the growth of Alzamend Neuro™, Inc.
You can help support the Alzamend Neuro™ mission and participate in the Company as an equity shareholder, too. For as little as $100.00, you can participate as an owner. Alzamend Neuro™ currently has been qualified by the SEC to raise $50,000,000 dollars using the Reg A+ exemption. This allows the Company to accept investment from all types of investors including accredited, non-accredited and institutional. By selecting the Invest Now button above, you can review the Offering Statement and Offering Circular and is where you can get more information on how to invest. 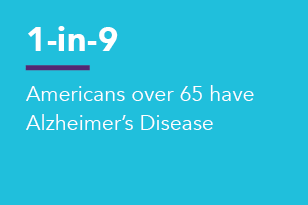 Through his personal experience and diligent study of the status of treatments, and the landscape of medical technology, Mr. Ault, chose the USF Health/Byrd Alzheimer's Institute and their intellectual property portfolio and formed Alzamend Neuro™ as his starting point to make a difference. With twenty-five years of experience on Wall Street at buying and selling companies as an activist, his relentless passion for business and technology has culminated in a commitment to depart from the traditional while forging ahead with a disruptive path to financing the commercialization and the discovery of future solutions. Mr. Ault was quick to recognize the opportunity to make a difference in routine medical procedures that at times resulted in fatal consequences. He founded and launched Patient Safety Technologies Inc., believing in the impact of bar-coded sponge technology, long before anyone else would support it. It has now become the standard of care in operating rooms around the world, saving countless lives and subsequent lawsuits annually. Providing a team of Operational and Financial executives with proven track records, Mr. Ault has assembled an all-star cast to move this vision forward, without burdening the company with excessive overhead. Mr. Mansour has been actively involved with disruptive technology as an inventor, manager, executive and coach for more than 3 decades. During that period he has led innovation and inspired collaboration among facilities in seven states and four contents. He is a master of operations, organizational change management and integrations having experienced all sides and process of a merger and acquisition transaction through more than a dozen transactions. His executive positions include CEO, CTO, President, Senior VP of Research and Development, Executive VP of corporate development, and VP of Strategic Initiatives. He served as a Board Member and Treasure of Concievex, Inc., a company with the first FDA cleared medical device to help couples with specific fertility challenges. He also is currently on the Board of Directors for Avalanche International Corp. Through his consulting organization, PMC Solutions, he has facilitated organizations, entrepreneurs, and disruptive technologies and business models in the sectors of, Bio-Technology, Consumer Electronics, Computer Science, Energy, Health Sciences, Hospitality, and Publishing, Mr. Mansour has been retained to establish the Company, its Board of Directors, the Scientific Advisory board, hire and contract with all appropriate FDA consulting firms, as well as establish and negotiate all relationships with the scientific and academic communities. His substantial entrepreneurial and corporate experience will benefit the Company, including, but not limited to, establishing its infrastructure, attracting and hiring appropriate leadership, and guiding its progression through its projected growth. Dr. Cao is a Professor at the University of South Florida College of Pharmacy. He works out his lab on the 4th Floor of the USF Health/Byrd Alzheimer’s Research Institute located on the USF Main Campus. His research interests are focused on the discovery of therapeutics and vaccinations to neurological diseases, such as Alzheimer’s, Parkinsons, Multiple Sclerosis, and ALS among many others. Feb 2016 Transient Micro-needle Insertion into Hippocampus Triggers Neurogenesis and Decreases Amyloid Burden in a Mouse Model of Alzheimer’s Disease. Cell Transplant. Jan 2016 Acupuncture-Induced Analgesia: The Role of Microglial Inhibition. Cell Transplant. Dec 2015 Transcription factor Sp1 inhibition, memory, and cytokines in a mouse model of Alzheimer’s disease. Am J Neurodegener Dis. Nov 2015 Brain-derived Neurotrophic Factor Signaling Pathway: Modulation by Acupuncture in Telomerase Knockout Mice. Altern. Ther Health Med. Nov 2015 Dendritic and Langerhans cells respond to Aβ peptides differently: implication for AD immunotherapy. Oncotarget. Oct 2014 The potential therapeutic effects of THC on Alzheimer’s disease. J Alzheimers Dis. Apr 2011 Long-term electromagnetic field treatment enhances brain mitochondrial function of both Alzheimer’s transgenic mice and normal mice: a mechanism for electromagnetic field-induced cognitive benefit? Neuroscience. Dec 2009 Caffeine reverses cognitive impairment and decreases brain amyloid- beta levels in aged Alzheimer’s disease mice. J Alzheimers Dis. Aug 2008 Mutant amyloid-beta-sensitized dendritic cells as Alzheimer’s disease vaccine. J Neuroimmunol. Nov 2001 Duration and specificity of humoral immune responses in mice vaccinated with the Alzheimer’s disease-associated beta-amyloid 1-42 peptide. DNA Cell Biol. Apr 2000 Characterization of a novel human immunodeficiency virus type 1 neutralizable epitope within the immunodominant region of gp41. Virology. Alzamend Neuro™ is a development stage biotechnology company currently working to move a patented mutant peptide for use as an immunotherapeutic treatment and vaccine out of the research and pre-clinical stage at the University of South Florida Health/Byrd Institute and into a path toward commercialization. Alzamend Neuro™ has been qualified by the SEC to raise $50 Million dollars under the new Regulation A+ which was signed into law by President Obama as part of the Jobs Act of 2012. Alzamend Neuro™ is the first BIo-Tech company to receive this qualification. 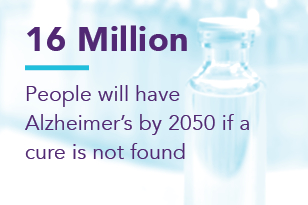 Through the licensing of promising intellectual property from internationally recognized organizations, moving it forward toward commercialization and the support of ongoing research Alzamend Neuro™, has and will continue to strive help move the battle against Alzheimer's forward. An offering statement regarding this offering has been filed with the sec. The SEC has qualified that offering statement, which only means that the company may make sales of the securities described by the offering statement. It does not mean that the SEC has approved, passed upon the merits or passed upon the accuracy or completeness of the information in the offering statement. You may obtain a copy of the offering circular that is part of that offering statement from www.AlzamendRegA.com™. • Alzamend Neuro™ is a registered mark of Alzamend Neuro™, Inc. • 2016-2017 by Alzamend Neuro™, Inc. All rights reserved. Alzamend Neuro™ is currently working to move a patented mutant peptide for use as an immunotherapeutic treatment and vaccine out of the research and pre-clinical stage at the University of South Florida Health/Byrd Institute and into a path toward commercialization. Simultaneously, Alzamend Neuro™ going forward through this Regulation A+ Tier II Offering intends to commit a significant portion of the funds raised directly to fund ongoing research projects with National Partners like the University of South Florida Health/Byrd Institute to secure future intellectual property license rights for commercialization. 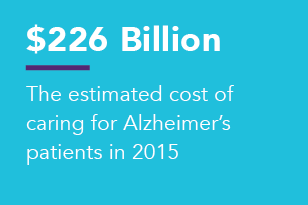 “Alzamend Neuro™ is committed to supporting the full product development life cycle of treatment and cures for Alzhiemer’s believing that strong support of research is the foundation for true innovation. Providing current hope though the commercialization of existing patented intellectual property and know how while simultaneously funding future hope through advance research,” said Philip Mansour, President and Chief Executive Officer of Alzamend Neuro™. 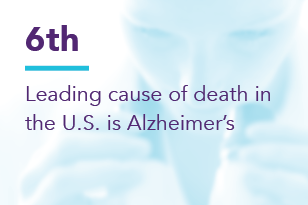 What is Alzheimer's Disease? What you should know! 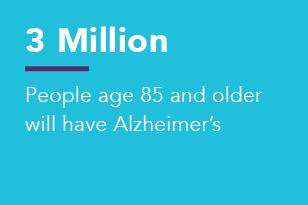 Alzheimer's Disease by the Numbers!